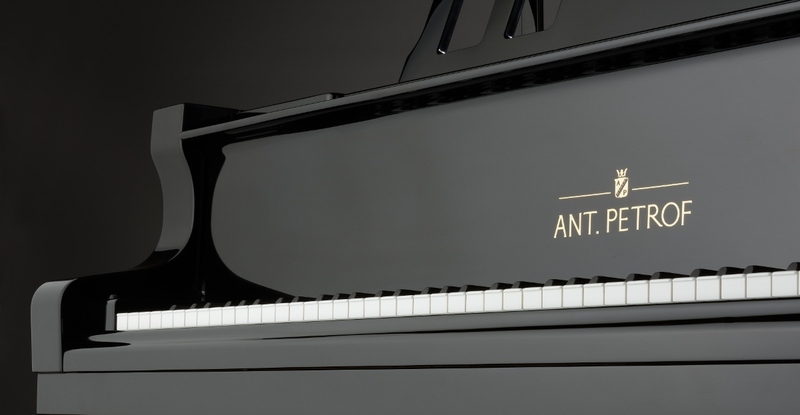 In 2014, celebrating the 150th anniversary of the foundation of PETROF company, the biggest producer of grand and upright pianos in Europe, a new premium brand ANT.PETROF named after its famous founder was introduced. 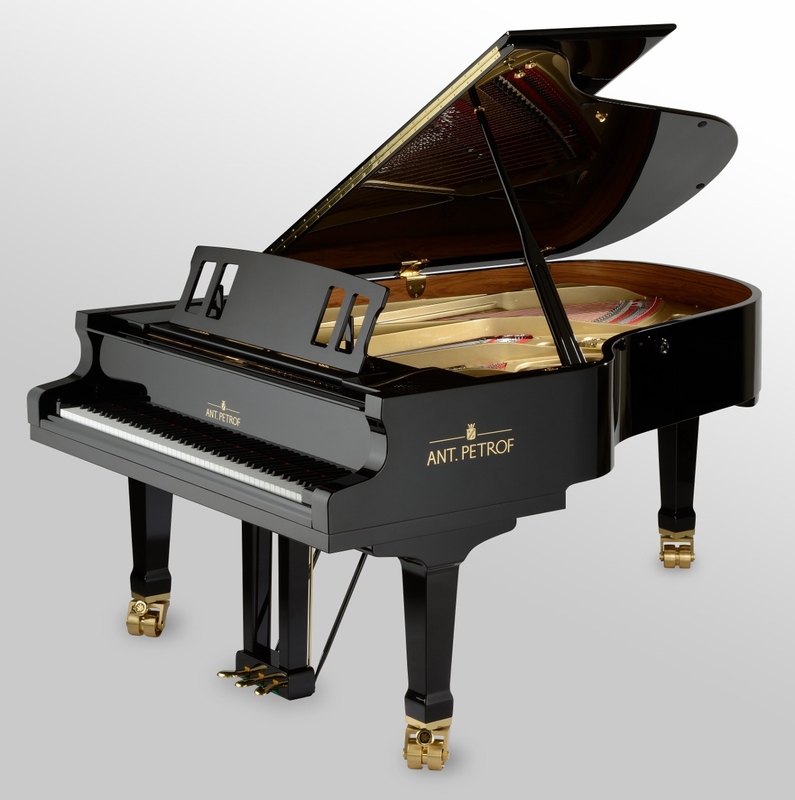 Instruments of this premium brand are designed for stages of the most prestigious musical halls and luxurious interiors worldwide. ANT. 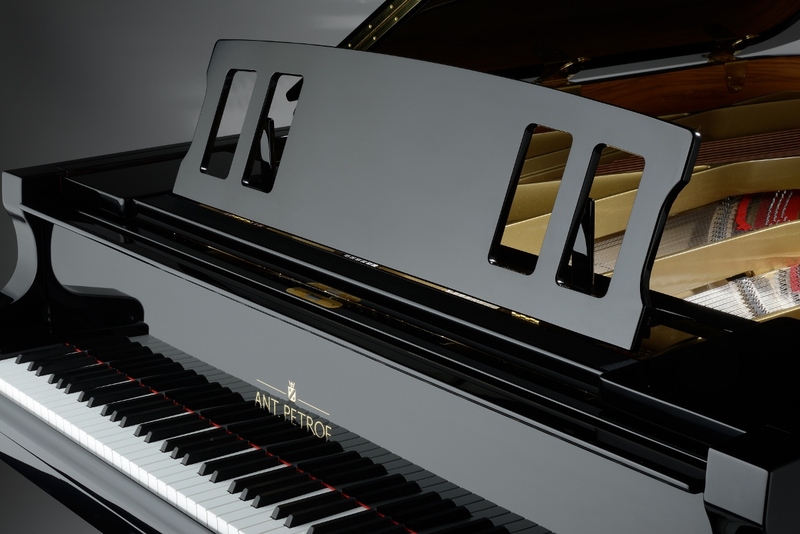 PETROF has rightly become PETROF’s flagship. A bigger grand ANT. PETROF 275 is followed by its “smaller brother” ANT. PETROF 225. It meets all the strict criteria of a top-end concert instrument too. 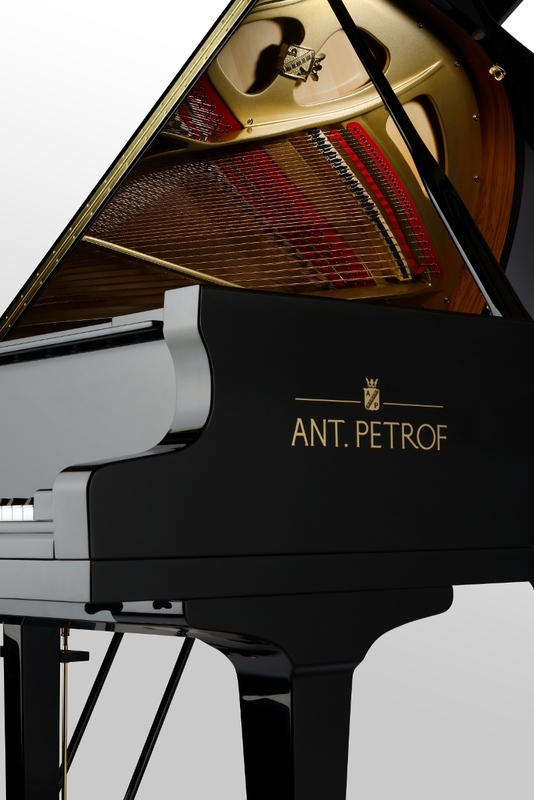 The ANT.PETROF piano is a second model of the premium brand ANT. PETROF. It benefits from its 5-years development and we used all the proven novelties and patents as well as the best quality materials of European origin for its construction. It’s an instrument with very broad range of applications. Given its size, it posseses surprisingly strong, yet also very colourful and picturesque tone. It stands out with its pleasant sound in the whole range and a very precise response of the mechanics. It has enchanted various artists with its sensitivity and flexibility that inspires creativity and inventions. Many famous stages have been filled with its pretty tones which resonate in hearts of music lovers all over the world. One such stage is Rudolfinum, a top Czech musical scene and a home of Czech Philharmonic. This important ar­chi­tec­tu­ra­l neo-renaissance mo­num­ent on the bank of Vltava, in the very heart of Pra­gue, is closely connec­ted wi­t­h music and o­the­r ar­ts since its op­en­ing i­n 1885. Right here, at the most suitable place, a beautiful instrument ANT.PETROF 225 was installed in October. The first concerts called “Romantic Nights at Rudolfinum” with the piano AP 225 took place on 6 October and 2 November in Sukova síň at Rudolfinum. Various other concerts are following – you can look forward to Předmikulášské rodinné odpoledne in Dvořákova síň on 13 November 2016 at 2pm and 4pm or Schumann’s piano concert a moll with Kation Buniatišvili who’s also going to perform in Dvořákova síň on 16, 17 and 18 November at 7:30pm.